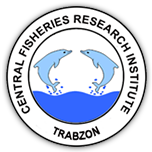 3 Sinop University, Faculty of Fisheries, 57200 Sinop, Turkey DOI : 10.4194/2618-6381-v18_1_02 Viewed : 1295 - Downloaded : 545 The aim of this study was to determine the effects of Laurencia obtusa (Hudson) as a natural carotenoid on the growth performance, biochemical composition and skin and fillet pigmentation in rainbow trout (Oncorhynchus mykiss). Laurencia obtusa was collected manually from the shores of Sinop (The Black Sea-Turkey) and included in the diet at two different ratios as 30 (L30) and 60 (L60) mg/kg diet. The fish with an average weight of 248.9±6.1 g were fed by the experimental diets for 6 weeks.